To change our life experiences, we have to change our mindset. A large part of changing our mindset is to replace incorrect knowledge with positive ones that uplifts one. I am available to help you re-style your mind. I an so excited to share this. 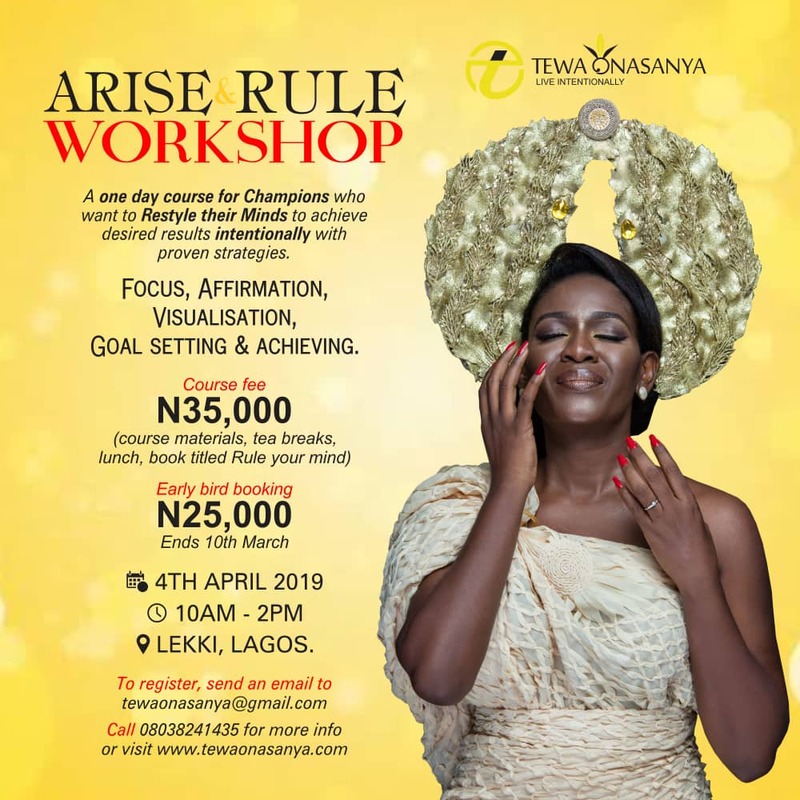 The 1st Arise & Rule Workshop will be held in Lagos on the 4th of April 2019. The time has come for you to live the life you desire intentionally. The time has come to Rule your mind. The Arise & Rule Workshop is for champions who are ready to take action intentionally. Register for the Arise & Rule Workshop today. Early bird price of N25,000 ends on the 10th of March. Registration ends on the 18th of March. We like to plan in advance. Places limited. Register. This promises to be a life changing experience. then reserve your spot now. I promise You, it will be a life changing event.